Since their formation in Calgary in the late 70’s, Canadian rock group Loverboy has had a career that most bands can only dream of having. Boasting sales of more than 10 million records in the U.S., on top of another million in Canada, the group’s seemingly endless stream of hits – “Working For The Weekend,” “Turn Me Loose,” “This Could Be The Night,” “Hot Girls In Love,” and “The Kid Is Hot Tonite,” among others – have rightfully become staples of classic rock radio both at home and abroad. 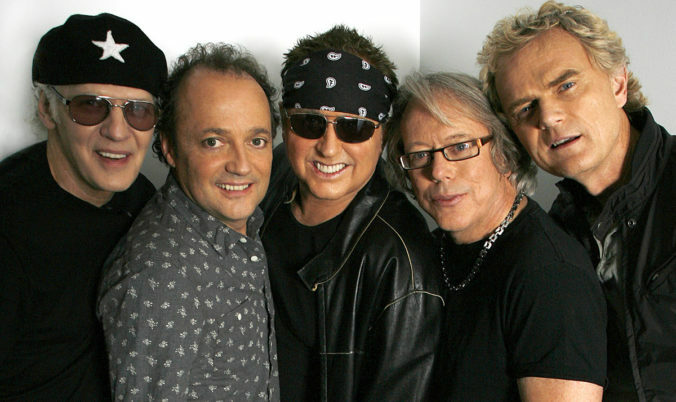 In addition to having earned six Juno Awards over the course of the group’s career, Loverboy was inducted into the Canadian Music Hall of Fame in 2009. Asked why he believes the group has been able to sustain itself over such a long period of time, Loverboy guitarist Paul Dean says it all boils down to one thing: the songs. Unlike many other classic rock bands that have endured multiple line-up changes, Loverboy has – with the exception of having tragically lost bassist Scott Smith at the turn of the century – been fortunate enough to maintain the same line-up that made their 1980 self-titled debut. “We’ve been very lucky in the respect that we’ve basically still got everyone on board. When bands start replacing iconic members, but still use the same name,” Dean says, trailing off. Considering how popular Loverboy became, it is a tad ironic that the group had difficulty getting attention from record labels at the outset of their career. Dean says for the first two years of the group’s existence, their managers insisted the group work on refining their songs, and to put playing live on the backburner. While some groups may have completely disregarded their management’s wishes and gone ahead with forging their own path, Dean admits he and his Loverboy bandmates intuitively knew they were exactly where they should have been at that juncture of their career. More than 35 years later, that flame still burns bright within Loverboy. The group maintains a tour schedule that sees the group perform upwards of 65 shows each year. While Dean acknowledges the band could be playing more often if they wanted to do so, he says their current tour schedule affords the band members a harmonious balance between work and home life. “I think all of us consider the fact we are still playing live, and have people show up to see us play as nothing less than an amazing privilege. It is a good place to be in,” Dean says. When: Thursday July 13, 8 p.m.
Tickets start at $29.99 plus taxes and service charges. Advance tickets are available at the Casino Gift Shop, by phone 1-866-943-8849 and online at www.casinonb.ca.